Isabel Allende, in admitting she wrote her recent mystery novel as “a joke” and she’s “not a fan of mysteries,” has sparked a backlash. 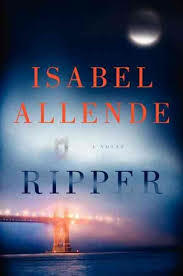 Recently, the acclaimed Chilean bestselling author Isabel Allende sat down to talk with NPR’s Arun Rath about her newest book and first mystery, Ripper (HarperCollins). She might regret having done so. In particular her answer to this question. Allende: “Well, the book is tongue-in-cheek. It’s very ironic. And I’m not a fan of mysteries. So to prepare for this experience of writing a mystery, I started reading the most successful ones in the market in 2012. And that was the Scandinavians — Stieg Larsson and Jo Nesbo and those kind of people. And I realized that I cannot write this kind of book. It’s too gruesome, too violent, too dark. There’s no redemption there. And the characters are just awful, bad people – very entertaining, but really bad people. McKenna Jordan, owner of Houston’s Murder by the Book, had ordered 20 autographed copies of Ripper to sell at her shop. But on the same day that the books arrived, Jordan heard Allende’s interview on NPR. All 20 copies are being returned to HarperCollins. But why would Allende insult the very same readers she hoped to sell books to? 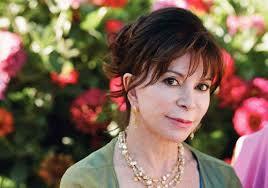 “Isabel Allende, originally from Chile and now living in San Francisco, is a bestselling literary author. I know many, many people who admire her intensely, and I am sure this is deserved. By all accounts she is a great writer. But as far as the mystery community is concerned she put her foot into her mouth in a major way. Ms. Mitchell might have a point.